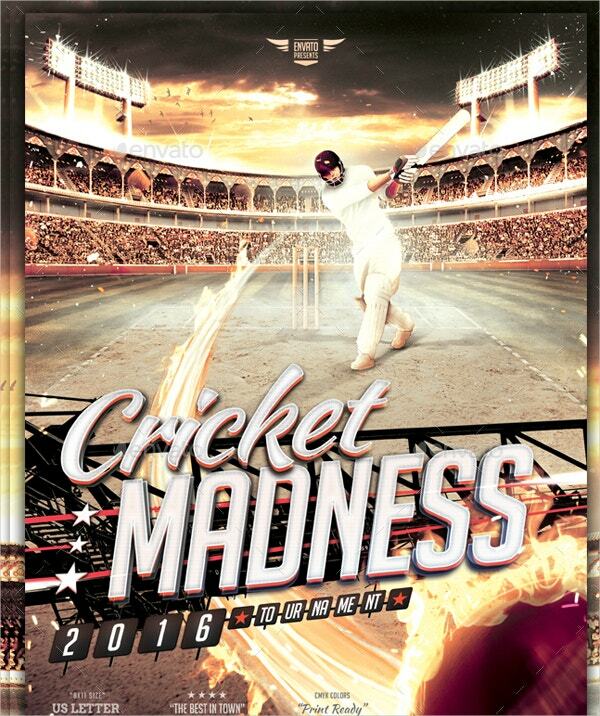 Cricket happens to be a celebrated sport around the world, with hundreds of tournaments and leagues being organised globally. 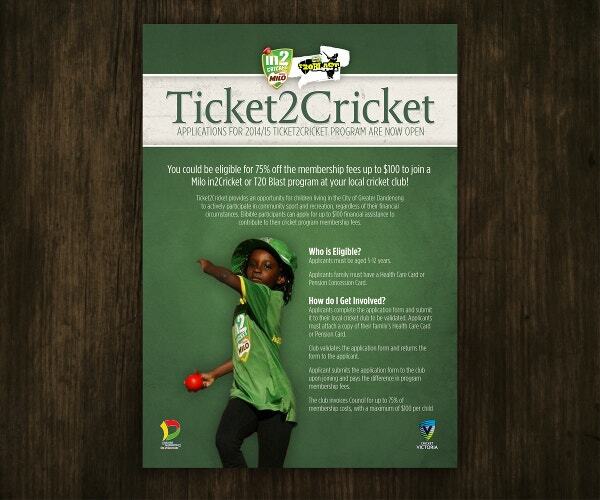 Naturally, there is an increased demand for cricket flyers and posters which advertise such events. 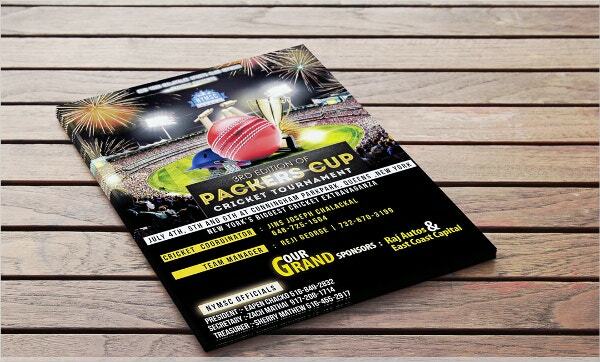 To save yourself some trouble, you can make use of these flyer templates which have been designed to suit the purpose. You can just download the templates, edit and alter them if needed and then print them on a mass scale. Having done that, you’re all set to go! You can also see Announcement Flyers. 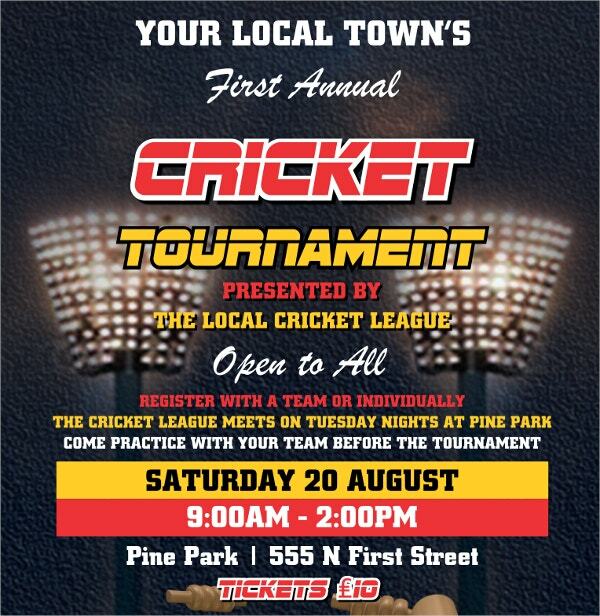 This flyer template perfectly captures the madness that surrounds a cricket tournament. The stunning graphics that you see in the template would be included as part of the package here. As you can see in the template, it contains a number of blank spaces where you can insert your own image collection. That way, you can personalise your flyer to make it your own. 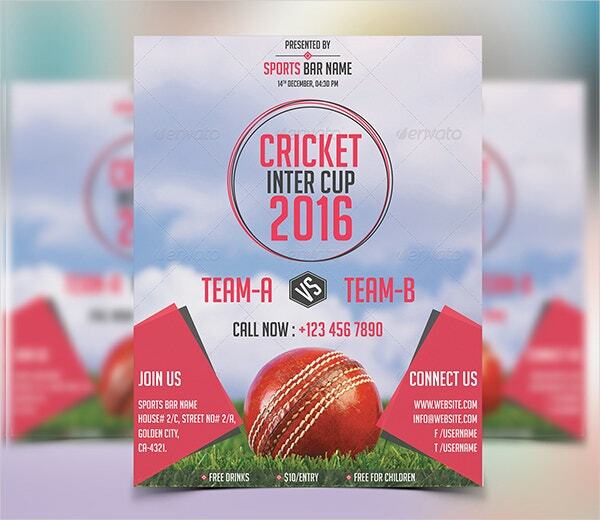 This flyer template consists of a design for a sports tournament. It also has sufficient space where one can insert the relevant and important information of the tournament in question. This template comes in fully layered psd files which are organised. Also, it uses a fairly high resolution of 300 dpi and a colour scheme of CMYK. Plus, the textual elements of the flyer template have been kept editable. The flyer template here begins with a catchy heading which is a characteristic of any good flyer. The fonts that you see here would be included along with the images. You can, however, edit the text and add your own. 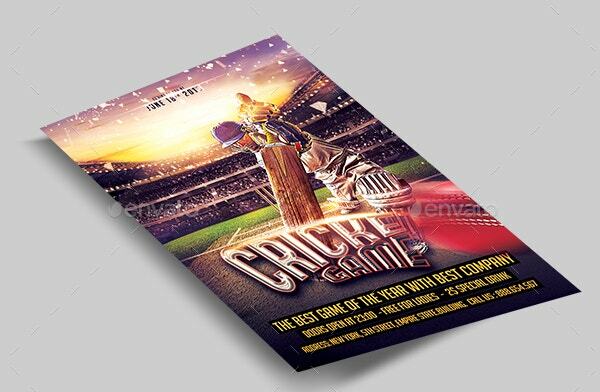 This is a customizable sports flyer template designed specially for cricket lovers. The colour mode that you see on the template is fully editable and allows you to change them at your will. 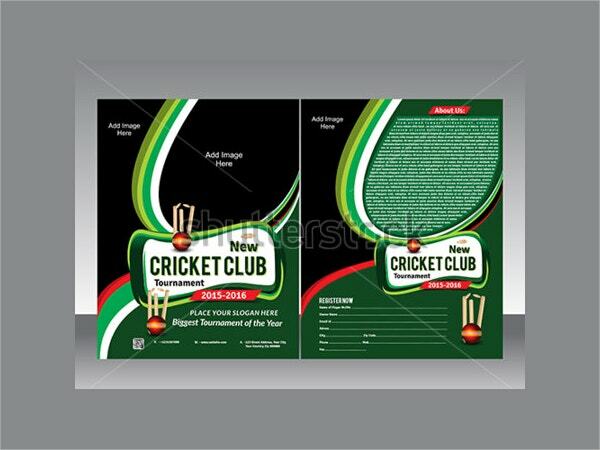 If you are planning to have a cricket championship, then this is the template for you. It consists of a layered psd file that comes in a print ready format. You can modify this template any way you deem fit. You can also see School Flyers. 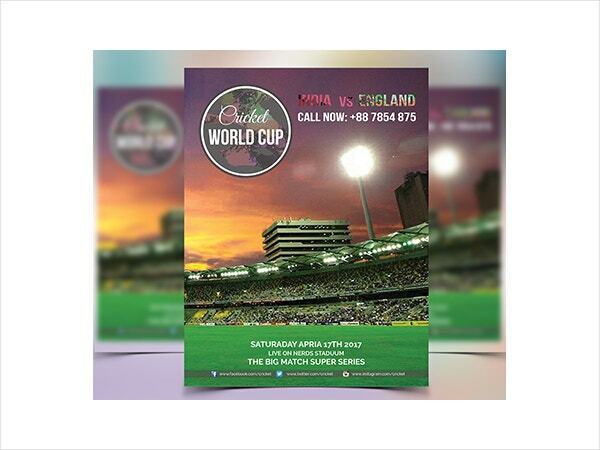 For a specialised world cup cricket flyer, you can use this template. Here, you would be getting full access to free fonts and a resolution of 300 dpi. This template is completely compatible with Photoshop. 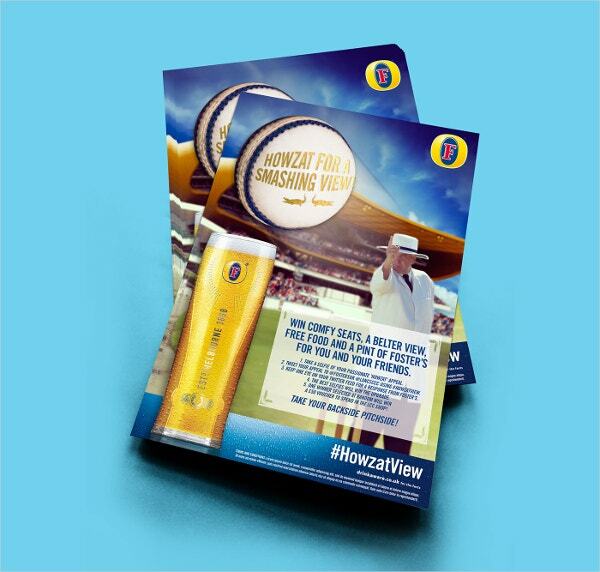 For those who love beer and cricket, you’ll seldom come across a better template for yourself. 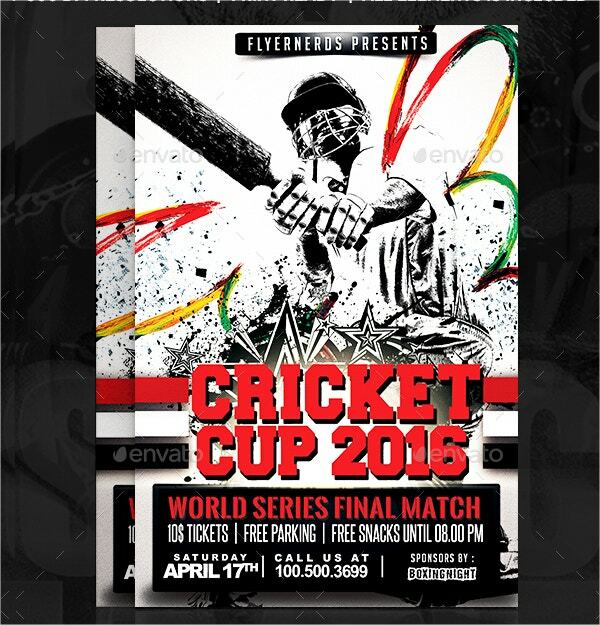 This cricket flyer template is multipurpose and can be used in various ways. The combination of black and white along with vibrant splashes of colour here and there looks amazing. 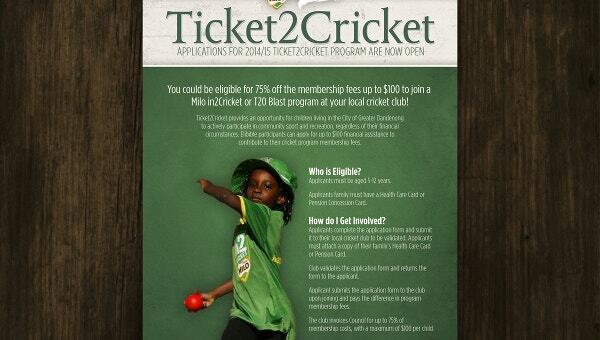 It certainly goes with the thrill and excitement that a cricket tournament brings along! 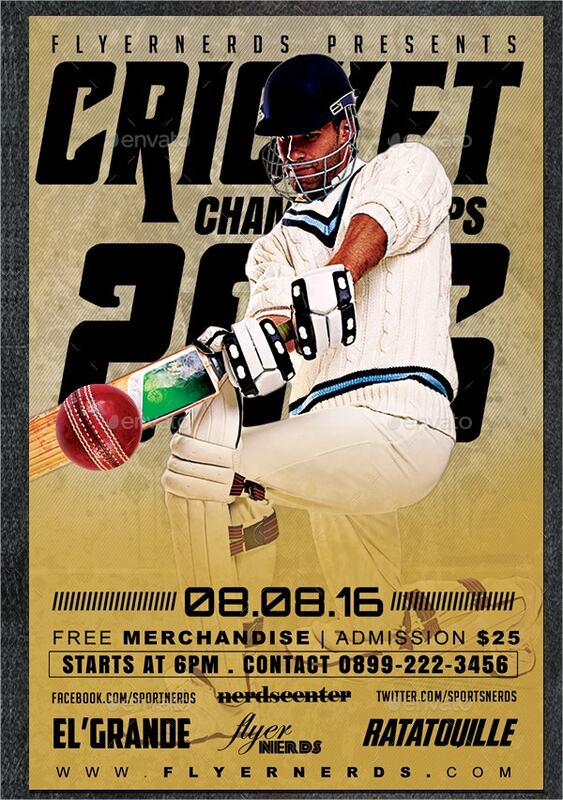 For a local cricket tournament, this template would be absolutely perfect. It consists of an attractive headline and a catchy logo. You would also be getting the free fonts as part of the template here. 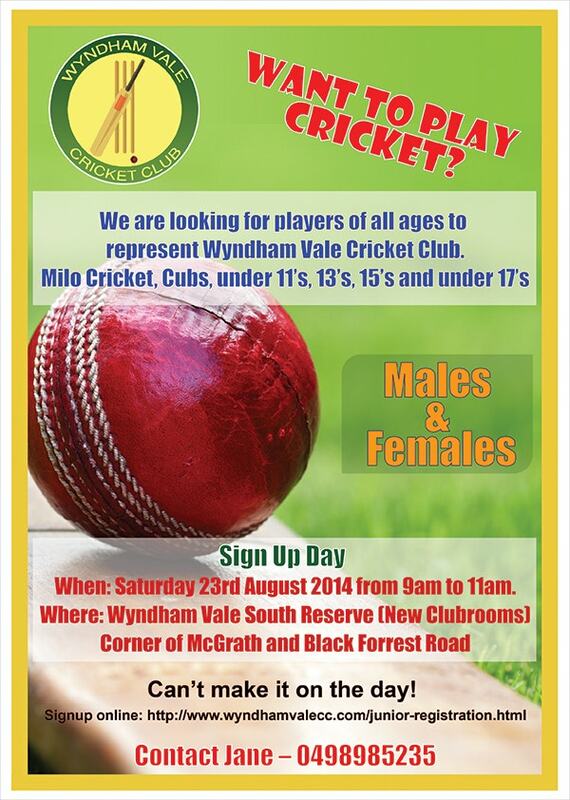 A cricket camp for children deserves a special flyer template. To get hold of one, you can use this template. The myriad brightly coloured designs are sure to appeal to the young cricketers! The best part about this template is that it keeps the design aspect to a minimum. It focuses more on the textual aspect and that certainly catches one’s eyes. Also, the template comes in fully layered psd files. 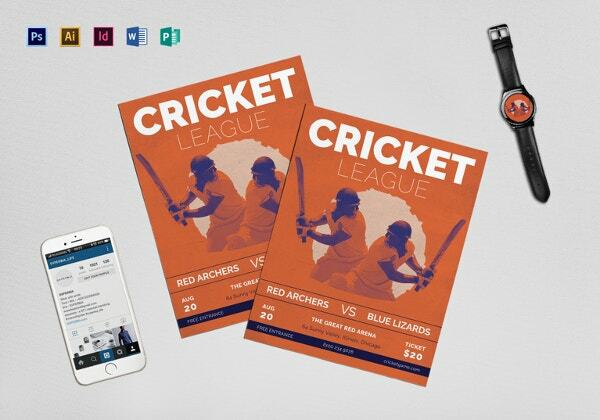 These sports flyers stick to the theme and use relevant content- both in terms of illustrations and text. However, you still have the liberty to remove certain elements or even add some to personalise them. These templates are compatible with Photoshop, which makes them incredibly easy to use, edit and print. You can also see Retirement Flyers.